Hitachi Rail Europe says it hasn’t struggled to recruit skilled people at its new train assembling factory – thanks to the support of local training providers. The Japanese manufacturer, which opened its new rail facility in September 2015, has already taken on more than 1,000 people at its £82m site on Aycliffe Business Park. Fifty-seven of those have been new apprenticeship roles, with 10 of them being trained by 50-year-old neighbours South West Durham Training (SWDT). SWDT has been working closely with Hitachi Rail for the last three years, while in December 2014 Hitachi Rail installed a £1m prototype train at SWDT to help train up staff before its new factory opened in September 2015. 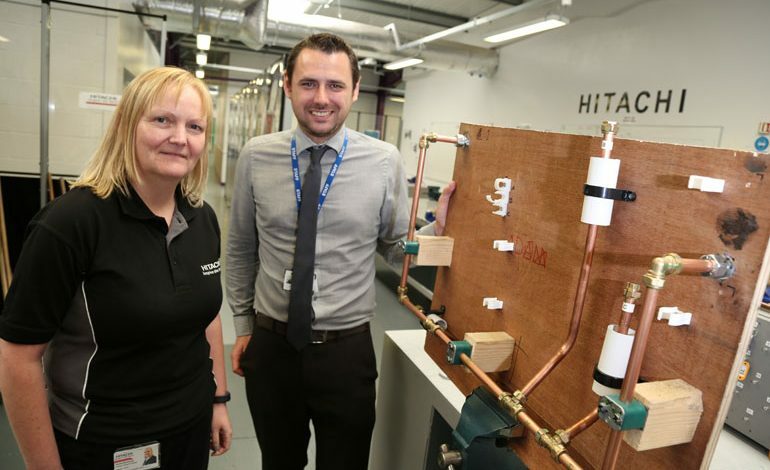 Hitachi’s learning and development manager Kendra Stonehouse said: “Our relationship with South West Durham hasn’t just been around apprenticeships, because all of our core team have done a lot of their training here as well. Stonehouse, who joined Hitachi from Redcar-based Tata Steel in April 2015, attended an event at SWDT to talk to local businesses about the benefits of taking on apprentices, and making best use of the new apprenticeship levy system. 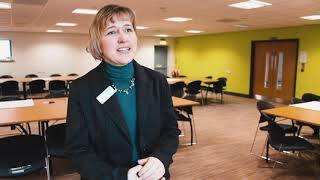 She added: “As a large employer we do pay into the apprenticeship levy pot and we’re trying to be more creative in how that will work for the business. “We’re trying to bring more young people in, but as integral parts of the team we already have in place. We have a lot of skilled and semi-skilled people who’ve joined the company and this is about giving them opportunities to develop, as well as recruiting apprentices. Of the 1,000 people Hitachi Rail has employed so far, the majority of them have come from within a 30-mile radius of its Aycliffe site. They include Callum Worrall and Ben Butler, both 21 and from Darlington, have been with Hitachi since September 2015 while studying quality engineering technical support with SWDT. SWDT is now delivering bespoke apprenticeship packages to accommodate the needs of businesses, and says changes to the way apprenticeships are funded, and the apprenticeship levy, have created new opportunities to deliver a variety of programmes involving a range of different modules, as opposed to the standard, inflexible apprenticeship framework previously on offer. The Aycliffe training provider – which celebrates its 50th year later this year – is now working with the likes of neighbouring train manufacturer Hitachi Rail and lawnmower maker Husqvarna, Richmond-based Pipeline Engineering, which is part of the multi-national Circor Group, and Aycliffe-based rail component maker Sabre Rail. Chief executive Lee Childs, an engineer from Shildon who served his time with SWDT 17 years ago, said: “The levy gives us more flexibility to get the most out of the funding available. “There are gaps in apprenticeships that we’ve recognised, such as quality engineering. They’re very difficult to recruit without paying over the odds. “But we’re also training apprentices in engineering with modules in purchasing, procurement, quality assurance and business improvement techniques, for example. SWDT, a subsidiary of Bishop Auckland College which employs 27 staff, also works with 3M, Cummins, Nifco, GSK, Mech Tool Engineering and Ebac among others, and has more than 300 learners on its books. The training provider is due to celebrate its fifth decade in operation towards the end of the year. Next article Force set to recruit 80 new constables - apply now!